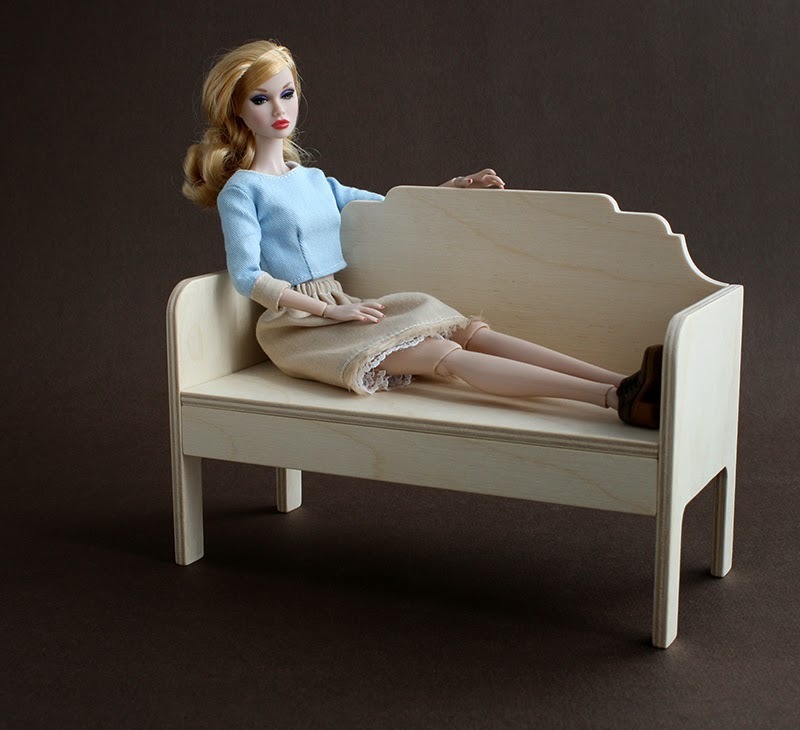 Bench/sofa for 10-12" dolls. Model 606-03. Height 15,2cm (6 inches), seat height 7,5cm (3 inches), width 22,9cm (8 1/4 inches).